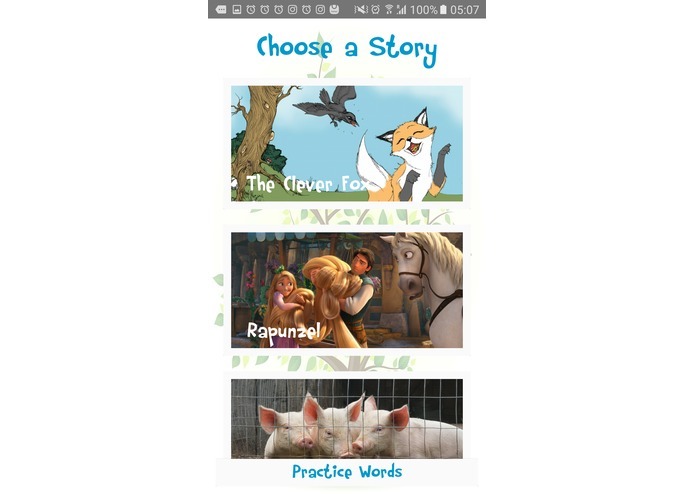 An Android app where children can read stories out loud, while the speech recognition makes sure no mistakes are made. 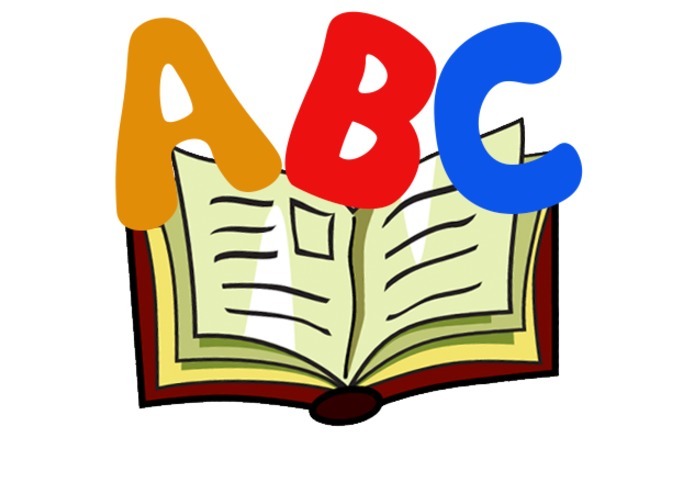 At the end they can see their score, and practice certain difficult words that they often get wrong. 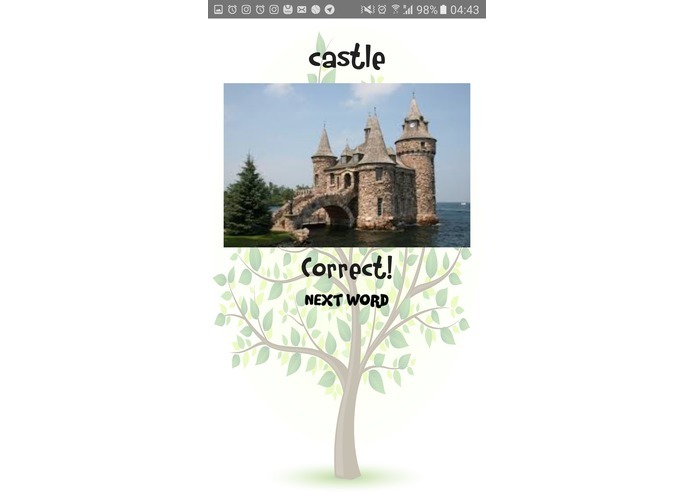 By using images for challenging words this app is also ideal to help children with dyslexia to enhance their reading skills. I worked mainly on the design of the application. And acted as the GIT expert of the team. Worked on getting the text from files, adding links to words, creating popups, and conversion of text to speech whenever a word is clicked. 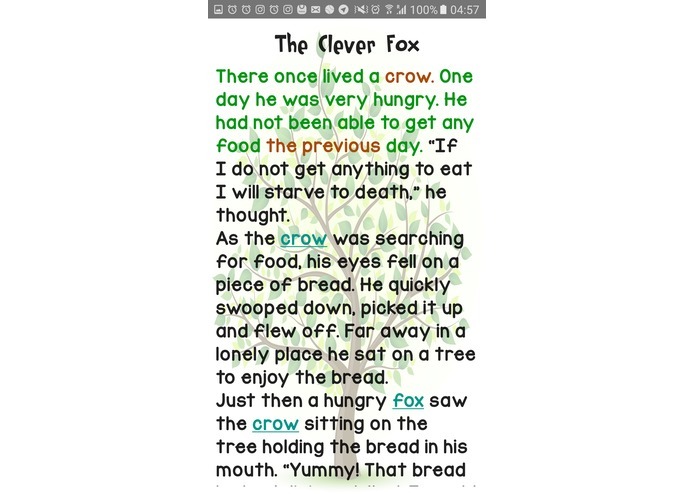 I worked with the speech recognition API, comparing the text with the user input and giving the user feedback on its progress.